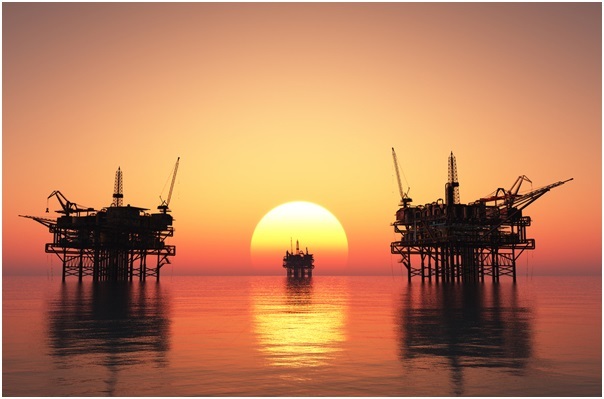 Living in an offshore oil rig can be a huge deal for most of the people due to all the circumstances in which a person should get through once it becomes a part of the working task there. But indeed, going though all those things without a particular time spend before, in which the procedure of getting ready will be followed, those times will become even harder. In order to help you in those unwanted times, we’ve examined all the things that are taking a part of an offshore employment, and with that we are going to go through each aspect of it and help you get ready for all the things on a more easier level. But however, if you are willing to take a part on a journey such as this, you must remain focused on every aspect and with that be able to respond towards everything by having enough knowledge in this field. So if you are wondering about how the life on an oil rig platform looks and feels like, you can move towards the paragraphs bellow and get enough knowledge into the particular area. But for those who are more curious over having a first-hand see through into being a person that holds a position such as this, with one click on the next link https://www.nesgt.com/blog/2017/04/what-is-life-like-on-an-oil-rig you can learn by going through this text written by an offshore worker. If you want to work offshore, first of all you must make sure that you are following all the criteria needed, meaning that you must have 18 years or above, you should follow a particular height, as well as be extremely fit mentally and physically. But besides those three first requirements, keep in mind that each oil rig company has their own criteria when it comes to what makes a good offshore worker, and besides there are standard ones, some of them might want more or less from you. Also, your education level should be matching with the job on which you are planning to spend your future to, so with that, always make sure that you are familiar with the position for which you are applying since sometimes you might need more than just a degree, and mainly, it is focused over the experience into working in this field. Working on an offshore oil rig won’t be same as working in an office at all. This job is all about adventure, and getting ready to cope with bad weather, heights and so on. But also, when it is a matter of an offshore work, each employee should be skilled into coping with different shifts. This means that the working shift won’t last eight hours as the standard one, due to the fact that in most of the cases you are going to need to stay longer than that, and also, you will work in different shifts, through day or through nighttime. For some people, this is a serious requirement, since you are supposed to go against your natural biorhythm, and be able to stay awake in the night, and sleep during the day. If you are considering to choose a work such as this, probably you are aware that you will need to live in offshore living quarters. These are places specifically made in order to respond towards the people’s needs, but however, you aren’t supposed to expect that there will be built on a luxury way. You will have a bed where you can sleep, with clean sheets maintained on a regular basis, as well as place where you can store all your items. Also, there are places available that are going to help you when it comes to spending you free time, designed for some chilling activities such as gathering with your colleagues and playing some games, watching movies and so on. Another great thing to be considered is that once living as a worker on an oil rig platform, the company will make sure that the food prepared for you will be made out of the ingredients that will provide you enough energy, so you aren’t supposed to feel anxious over maintaining your health.